S 500 x 275px 0.5 Mb. M 1000 x 550px 2 Mb. L 2000 x 1100px 8 Mb. XL 8000 x 4400px 15 Mb. 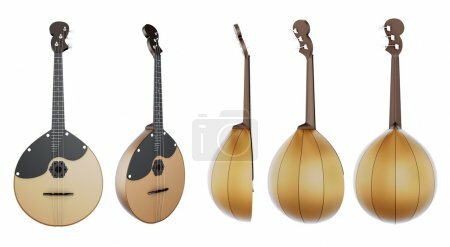 Stringed musical instrument Domra with different species on a white background. 3d illustration. Music instruments series.